Welcome to the March edition of the digest! 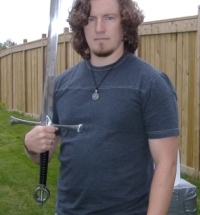 Lots in store for you as usual – including some cool news (and a special discount offer) for lovers of European swords, a new column by SBG Forum Global Moderator Dan Dacombe (aka Daniel De Clan Sinclair) “Collectors Corner” where this month he talks about how best to explain sword collecting to your non-collecting friends a free ebook on the Basics of Japanese swordsmanship ! And that’s just for starters! The day to day running of the SBG Sword Store and the site in general saw a few less additions again that what I had hope for, but we did manage to get a couple of cool reviews up for fans of Japanese swords (I was hoping for one more, but then the due date on this rather large edition of the digest started looming so I figure it will have to wait until next month! Always behind the eight ball, the story of my life.. Lol). Anyway, I managed to finally complete the review of the Cheness Shobu Zukuri Kurome Katana - a lovely looking sword with a scalpel like tip which may be a little too thin to stand the kind of punishment I have dished out to the other monosteel Cheness swords, but is a great cutter. 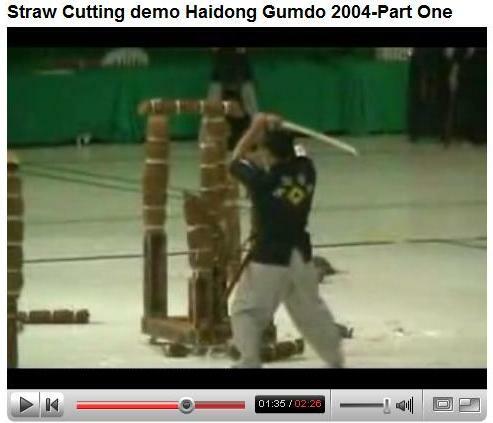 I also was able to load in a cool review by a SBG Site visitor for the Hanwei Hanwei Practical XL Katana, a razor sharp performance series blade that works quite well for Haidong Gumdo applications. Unfortunately though, that is about it. I did get around to finally updating the page on medieval swords a bit, just a general tidy up and clean up of info that was starting to get a bit dated – mostly in preparation for some major changes prompted by the industry to hit in the next few months. But the stuff that I wasn’t able to get around to will be addressed in a serious way before the Japan trip – I’ll probably be pulling 14+ hour shifts to get it all done, but I really want to give the site a big push before I spend a couple of weeks in Japan a laptop in maintenance mode. To watch the marathon updates evolve keep you eye on the SBG News section or better yet – subscribe to the RSS feed for up to the minute additions. It’s been a pretty big month, especially for fans of European Swords (didn’t I tell you that there would be something for everyone ;-)). First off, some more news on the Valiant Armoury Signature line - the prototypes have been approved and they should finally be ready to order within approx the next 2 months. They will also be available as stripped down sword and basic scabbard version, which will be sold at the $250 to $300 price point – but if you’ve seen the bling, and have a little extra to spend, it is well worth it for the beauty of the total package. Not to be outdone, Hanwei’s partnership with Michael ‘Tinker’ Pearce has also been making some strong progress – with their first Type XVIIIa warsword approved as both a sparring blunt and a sharp for around $320. You’ll find that the Arms of Valor custom medieval swords project is going from strength to strength – meriting their own page on SMG, plus, we recently conduced an interview with Jason and Brian, the creative geniuses behind it that shows that this is just the beginning. The Classic Brass Excalibur is back – now as a limited edition, numbered collectible! Like I said, it’s been a big month for European sword fans. And as these projects roll on, its only going to get BIGGER and BETTER! To stay tuned to the developments as they happen, be sure to check the SMG Newsfeed often - or better yet, use the RSS feed to get announcements in your RSS reader. 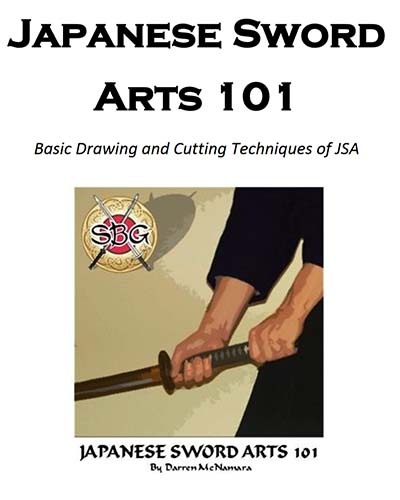 Originally appearing as an article at the SBG Sword Forums by Darren McNamara (aka Chopchop) who has over 18 years of experience in the Japanese sword arts, this little guide is a must read – and may serve as an introduction to begin your journey into the true arts he has dedicated his life to. Click here to download your copy. Its fluff free and stripped down to the basics, but as an introduction – it’s pretty hard to beat. His eyebrows go up, his eyes get a bit wider, and he gives a small laugh or cough. An awkward silence settles over our table, and the steam from our drinks mingles in between us. I’m not sure what he’s waiting for; maybe for me to laugh it off? Deny what I just said? Give a quote from 300 (“This! Is! Sparta!”) and kick over the table? Finally he just says, “Really? You collect swords? As in,” and he mimes swinging an imaginary sword, all the while making swooshing and clanging noises. I give a little shrug, almost apologetically, like I’m trying to say I understand it’s strange and I’m sorry it’s causing you to make strange noises and attract attention from the rest of the folks in Starbucks. After my friend tires of acting out scenes from various sword-related movies, (including from Star Wars, although I don’t interrupt his lightsaber impression to tell him that I don’t collect lightsabers – heck, everybody whose ever seen Star Wars wants a lightsaber, even if it’s just to trim the hedges or, for the very dextrous, to shave), we’re going to keep chatting, and he’s going to ask that question that every sword collector gets asked – “Why?” And while I could give him a really simple answer (“I like swords”), brush it off (“everyone needs a hobby”), or distract him and run away (“Look! Jessica Alba!”), I’d rather give him an honest and straightforward answer. So how do I do that? It’s something that all of us who collect anything unusual or have a unique hobby face at one time or other. I’m sure that collectors of impractical things like African art, or stamps, or rare books will get asked the same question, and they probably feel the same kind of awkwardness (except for the stamp collector, who can always point out that you never know when you might have to send 2000 letters on short notice). How do you explain why you are interested in something that the other person isn’t? I’ve made the mistake of talking at great length with my friends about all the intricacies of sword collecting, in an effort to show them what a great hobby it can be. But five minutes into a monologue on different types of steel usually leads to the same glazed look on their face. If I’m talking to more than one of them, they usually start exchanging glances, trying to determine psychically which one of them is going to take one for the team and fake a seizure in the aisle to get me to shut up. And as entertaining as that would be, it’s not going to leave them with a very good taste in their mouth towards my hobby. Instead, I’ve discovered that the best way to communicate about my decidedly unusual hobby is to ask about theirs. People love to talk about themselves and their interests (I’m no exception), and if you give them a chance to, they’ll usually open up. Talking about swords with a non-collector is like anything else – it just requires some patience and some investment in the relationship. Our hobby might be strange to some, but the people who would criticize you probably have a strange hobby of their own. Go looking for it, and you may find yourself with someone who can really appreciate what you’re spending your time and money on. And if they still object, well, they’ll have to do it out of earshot. You’re the one with the swords! Well, that’s all for the March issue. As many SBG forumites will know already, towards the end of this month my family and I are off to Japan for a couple of weeks to catch up with some relatives over there. So next months issue will likely be just a little smaller – and may come in a few days earlier than normal. Anyway, will talk to you all then!